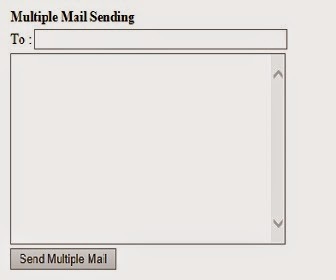 In previous article I explained How to Send Email by Using Gmail ID in ASP.NET by using C# Coding. 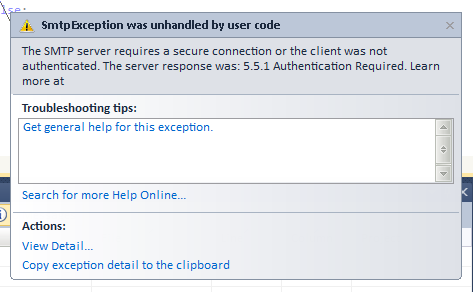 Now i show How to Send Multiple Emails by Using Gmail Account and Resolve a SMTP Server Secure Connection and Authentication 5.5.1 Required Error | The SMTP Server Requires a Secure Connection or the Client was not authenticated. In these Tutorials, we see how to send multiple emails in asp.net, for sending multiple email we use two class's i.e MailMessage Class and SMTPClient Class these two Class are predefined class from this namespaces (System.Net.Mail Namespace). 0 Komentar untuk "Asp.net Send Bulk Emails By Using Your Gmail Account"